On Monday I had to be on a clear liquid only diet and then Tuesday morning I had to have my colonoscopy, a privledge of turning 60 years old. They tell you not to drive for 24 hours since they give you something for the procedure. But they didn’t say anything about not biking for 24 hours. I felt fine to do the Stromboli Mauler. This is the last Metcalf Mauler ride of the season with a shorted ride and a party afterwards (eating stromboli). We took the tandem and did the ride. We were not the last ones up the hill, but it was on the slow side. I didn’t try to get into the Death Ride this year but was planning to do the Climb to Kaiser. With the high fuel costs and other things I lost interest in doing CTK and decided to try to do something equivalent with a club ride. 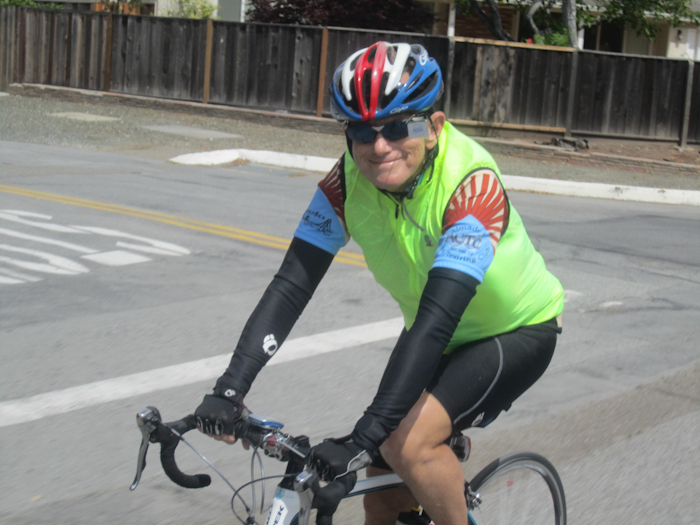 There was a long distance training ride posted for Saturday, June 28th, led by Dave Zajac, that looked just right. 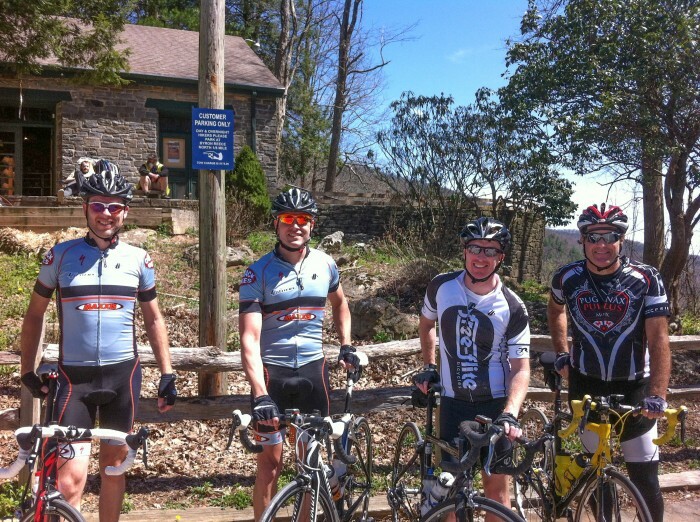 ACTC is special amongst bike clubs because of the weekly rides that are often over 100 miles with a lot of climbing. 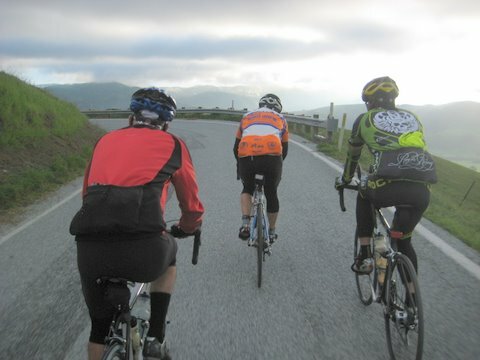 The group met at the Park N Ride in Los Gatos for a 7:30 start. Brian C. grabbed a quick picture before we departed. I moved out to the front for the gradual ascent along highway 9 from the parking lot. Suddenly David H. went whizzing by. So fast so soon? I pushed on and was able to catch him as the road leveled off and where his pace also leveled off. 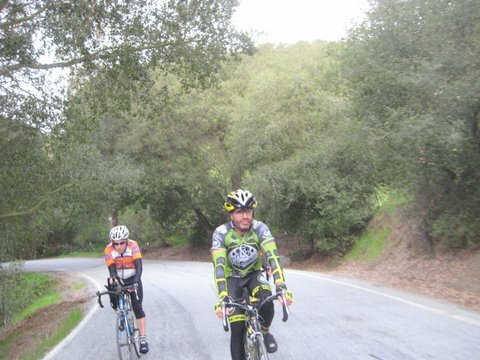 But that was enough to leave the rest of the riders behind so the two of us rode together until Russ S. met up with us on Foothill. The three of us climbed Page Mill for our first climb of the day. After reaching the top of Page Mill, David went his own way so Russ and I rode together for the rest of the ride. When our family lived in Japan we noticed that they never sold things like tableware in groups of four but always in groups of five. We later learned why. In Japan the numbers 4 and 9 are considered unlucky. The number four is pronounced “Shi“. The word for death in Japanese is “Shin“, which sounds similar. So the thought came to me if I wanted something like the Death Ride we needed to do four of something and what better thing to do than climb four billy goats that had a rating of “6”, the most difficult rating. Page Mill is only rated a “5” so that would not count towards this goal. Our first two rating “6” climbs were on the route, Jamison Creek followed by Alba. Jamison Creek was no problem but when we hit Alba that was a different story. I had brought my bike with a double crank and the climb up Alba with a 39/27 was killing me (appropriate for our taste of death ride). 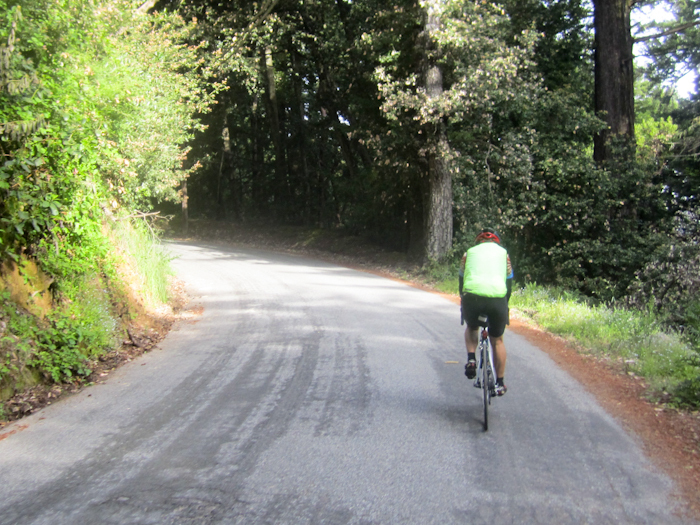 After descending back down Jamison Creek, we did the climb up China Grade. That gave us three “6’s”. At the beginning of the ride I had thought about doing Bolhman at the end to get the climbing on the ride that would be similar to doing the Death Ride. But the climb up Alba gave me second thoughts. I have climbed Bolhman before with my double but that was when I was a bit more fresh. Russ and I discussed it and each was hoping the other would bring some reason into the decision. So we took the easy way out (if there is such a thing on such a ride) and climbed Sanborn for our fourth “6” rated billy goat. I think that is the first time for me to do four “6’s” on one ride. I am sure others in the club may have done even more. I ended up with 113 miles and 12,500 feet of climbing. The Death Ride is about 12 miles longer and another 2,000 feet of climbing so I would call this a taste of death ride. No drive to Markleville was needed and no entry fee required. Where else, other than ACTC, can you do such a club ride? 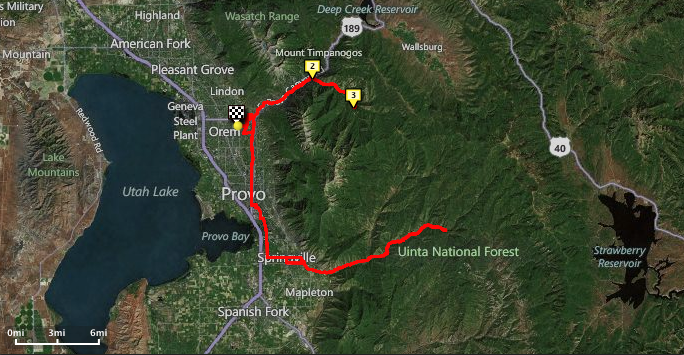 This shows the profile for the ride and the 6 billy goats we did. Click to enlarge. 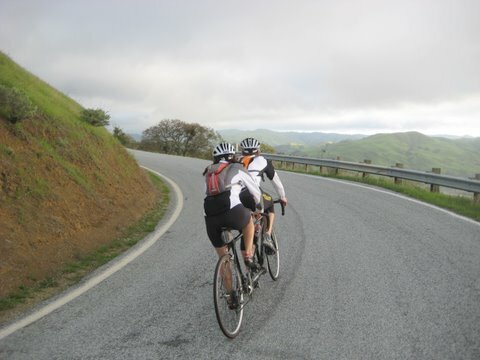 Yesterday in the morning I rode on the tandem with Ann for about 36 miles. I needed to get in more riding since I am in double century training so as soon as I returned home I jumped on my single bike and headed up to the trail head in Morgan Hill to catch the Henry Coe ride. I had stuff headwinds all the way up for the 15 miles so I spend much of the time in the aero bars. Several people showed up for the ride, including Jim W. and Doug R. I was a bit weak since I climbed Henry Coe twice yesterday and this was my fourth climb up the hill this week. But I pushed hard, trying to keep ahead of the other guys. Doug was running circles around me, however. This chart shows the part of the climb that is timed for the San Jose Bicycle club race. Look for the splits 1 and 2, which mark the start and end points. I included the table with the splits. The chart is plotted against time so the elevation change should look linear if I am climbing at a constant number of feet per minute. It took me 43:30, which was about 5 minutes slower than I did in the real race condition. Even so I had to keep my heart rate up to average 160. This first chart show yesterday’s climb (click charts to enlarge). This next chart is from last October when I did the race over the same course. Look for the split No. 1 which was the end of the race. My actual race time was recorded as 37:34, although my watch showed slightly less. 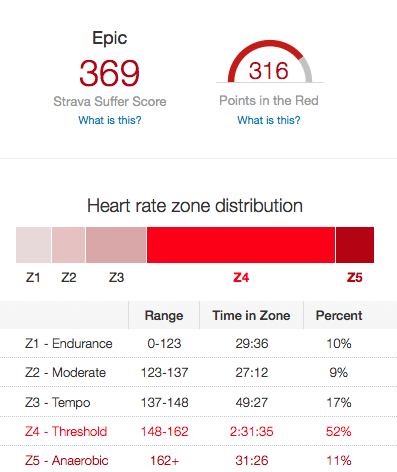 During the race I had to average 169 on my heart rate, quite a bit higher than today’s climb. Click chart to enlarge. I was very tired when I got home yesterday. 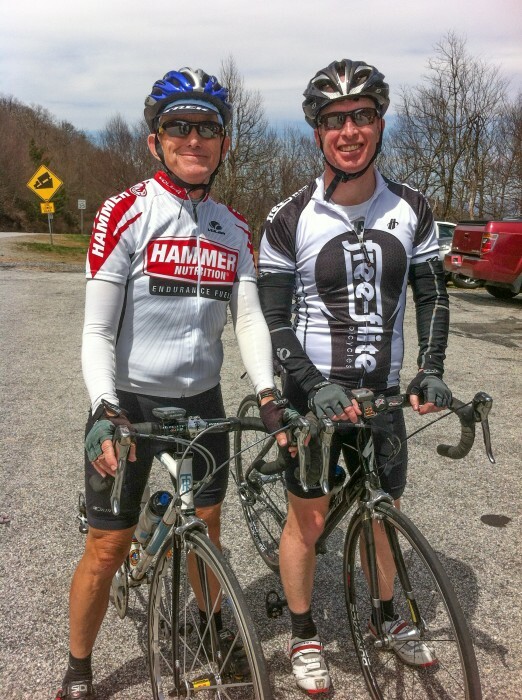 Today was one of the long distance training rides with the bike club. Since the route came down south near the end, I planned to bike to the start. But that meant biking in the dark. I got up a 5 am and looked outside to see if it was raining, as the forecast showed. Nope, it was dry as a bone and when I looked up into the night sky it looked like patchy clouds. I jumped on the bike at 6:15 am (sunrise was 7:18 am today). I met Gary F. on route and we headed up Santa Teresa. I thought I was so smart getting in the stretch from Gilroy to San Jose while it was dry. At least until we were approaching Bailey where we had quite a downpour. I realized that I would have wet and cold feet for the whole ride. On Coleman Ave., Gary had a flat so I rode ahead and met the riders that were just coming up Meridian to let them know. We circled back to pickup Gary and headed on the route. Opps, Gary had another flat on Shannon. He decided to head back home so I gave him one of my tubes. He was the smart one, I think. The weather cleared and as we started to climb Highway 9. 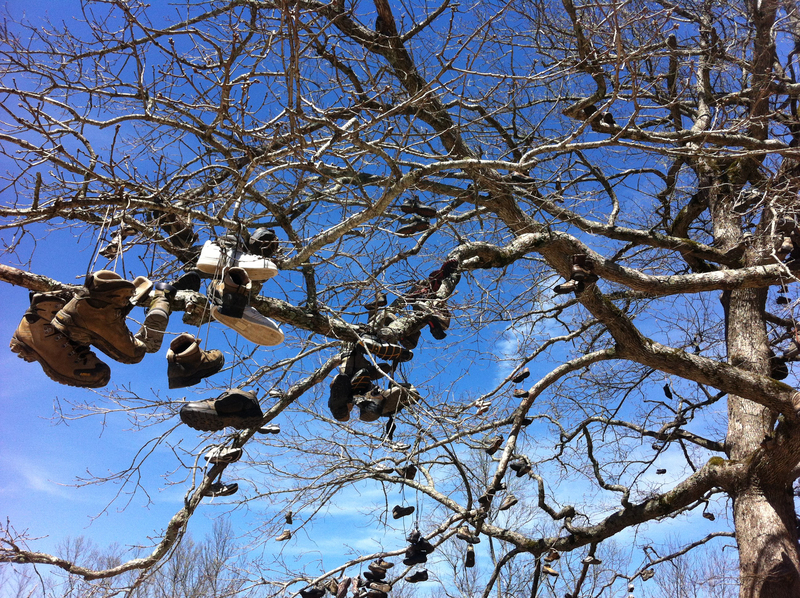 It became sunny with blue skies. I thought I had brought too many clothes with me and was way over dressed for what looked then like a fine day. David had already gone ahead so it was now just four of us, Joe F, Peter, Kley and myself. By the time we reached the summit the temperature was now down to 40 degrees, but it was still sunny. We headed up Skyline and I watched the temperature drop to 36 degrees and it started to get cloudy again. The descent down was super cold. I realized I had under dressed. Then on Summit we had a hail storm. My own thought was just to try to make it to the Summit Store. But by the time we got there it was sunny again. On the way down Soquel San Jose it started to rain again but by the time we reached Soquel it had stopped. We finally made it to Corralitos where we were going to eat lunch. I was starved, having biked nearly 90 miles by that point. After we ate, we all decided to take the “short” option and after doing Hazel Dell we went up Mt. Madonna. Hey, I don’t remember it being that steep. Since we had wet roads for the past few hours we figured going down Redwood Retreat would be too muddy but when we reached the summit it was dry so that is how we made our way down. It was now dry and sunny (my wife told me it never did rain in Gilroy today). I rode a bit with the other 3 and as they headed back to the start before I biked home. I ended up with 112 miles total. That brings me to 2600 miles so far this year. That is a lot for the middle of March. This chart shows the comparision with prior years in terms of accumulated miles cycling.